We drank a lot of bubble tea when we were living in Japan, there was a bubble tea kiosk called Tapiking just down the street from Trevor's apartment. I think it was a chain store but it had a cool vibe similar to our trendy coffee shops back home. It was crazy hot in Kumamoto, one year it didn't drop below 30c for 90 days and as I was used to mild English summers, I was struggling. My chilled bubble tea breaks were very welcome on long hot afternoons. There are a few bubble tea shops and cafes in the UK but there aren't any close by and bubble tea or boba tea as it sometimes known does not seem to be nearly as popular here as it was in Japan. Recently, as the weather has been getting hotter I've been craving a sweet bubble tea, so naturally I set about making it myself. 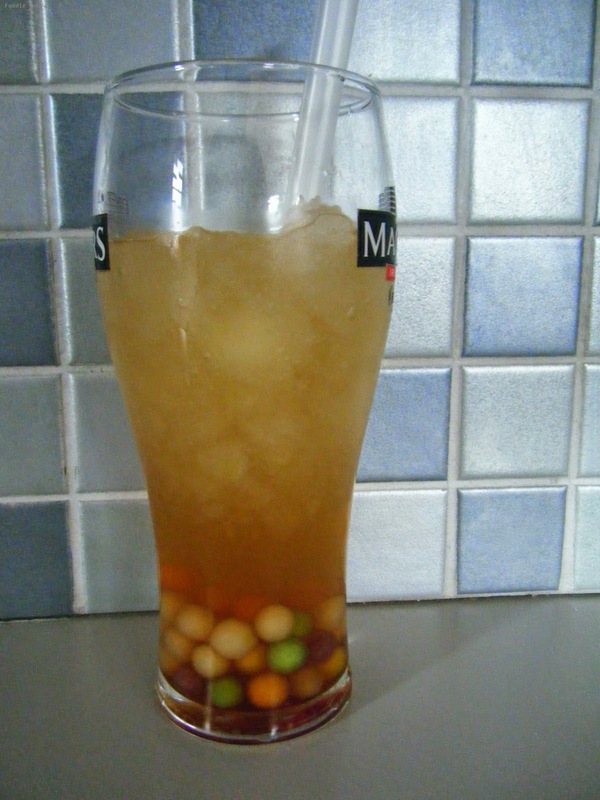 The bubbles in bubble tea are made from gelatinous tapioca pearls soaked in flavoured syrup. 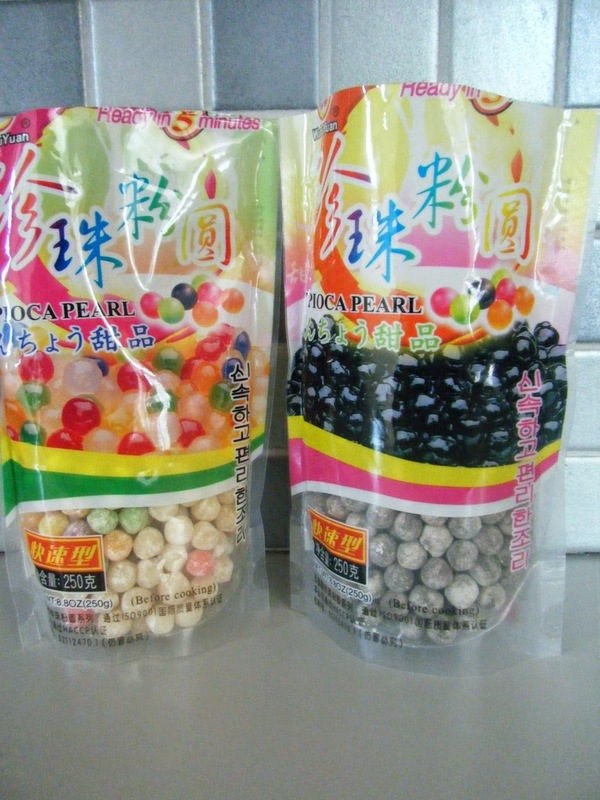 The most difficult part of recreating bubble tea at home was getting hold of the large tapioca pearls which I finally picked up at our local Chinese supermarket. They have to be the large pearls, the little diddy ones that you make tapioca pudding with won't work at all. Once you know the basic bubble tea formula of 30g of tapioca and 2 tablespoons of any syrup or honey to 300ml of liquid which is usually tea based you can get creative with your own flavours. These are a couple of my favourites. At Tapiking they also used to serve the bubble tea topped with yogurt, frozen fruit and small pieces of jelly. 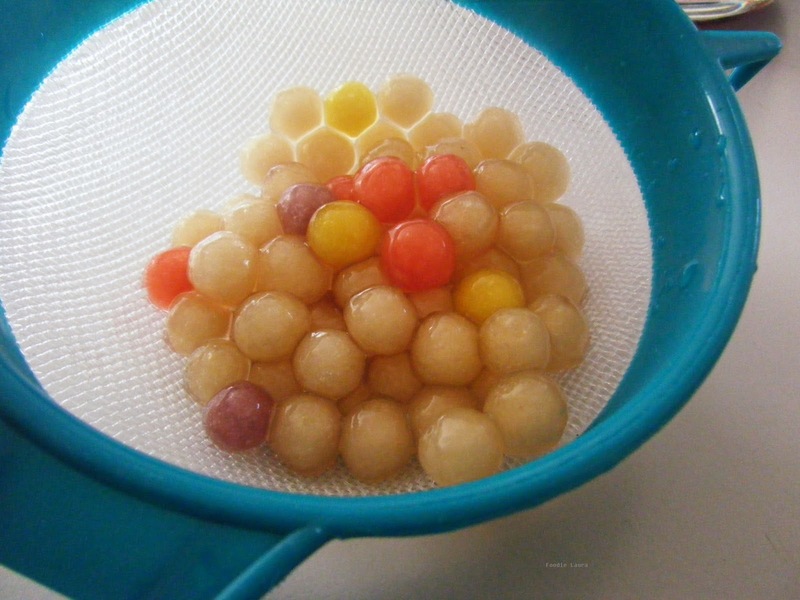 Prepare the tapioca balls by boiling them in water. These tapioca I am using is quick cook and only takes 5 minutes but you will usually find the tapioca takes up to an hour to boil so a little advanced preparation may be needed. 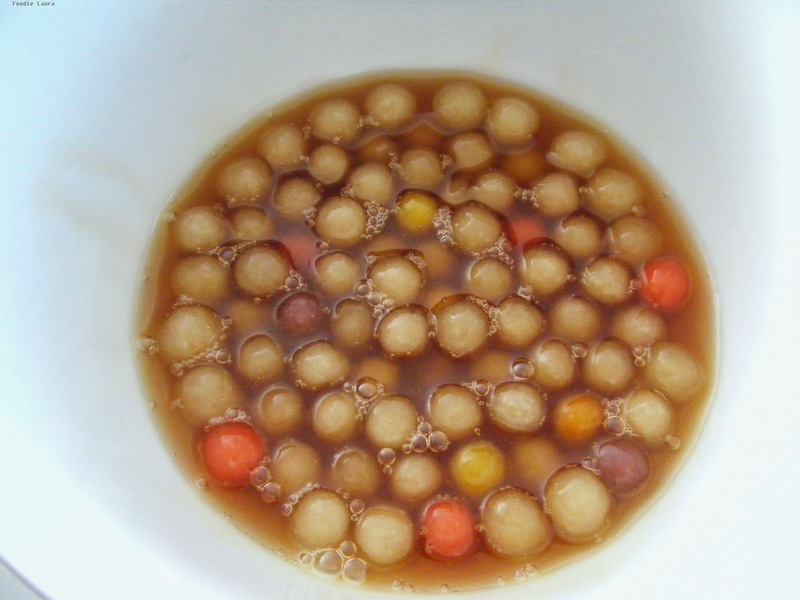 Soak the boiled tapioca in the caramel syrup before adding them to a large glass with the tea and milk. Freeze the lemon grass tea into ice cubes. Blend the frozen lemongrass tea with a little of the agave nectar that the tapioca is soaking in. Add the tapioca balls and remaining syrup to the blended lemongrass tea. 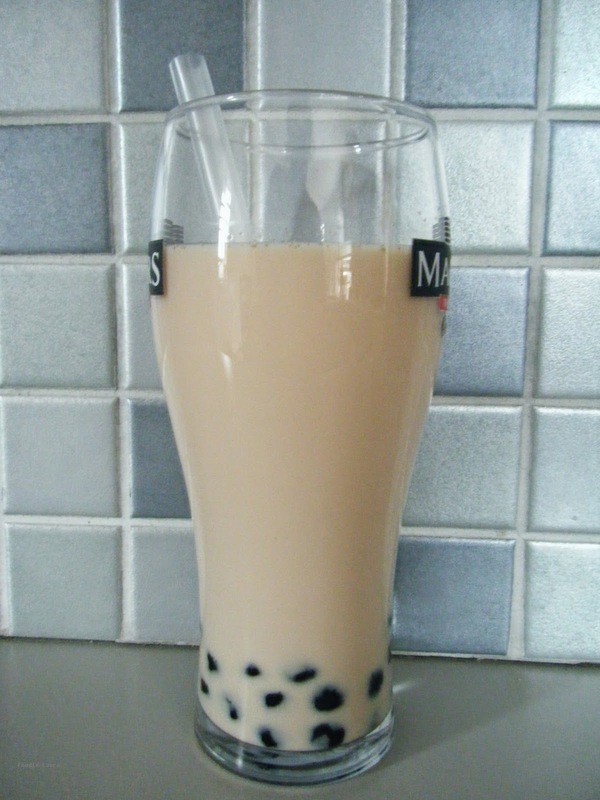 Have you tried bubble tea before? What's your favourite flavour?